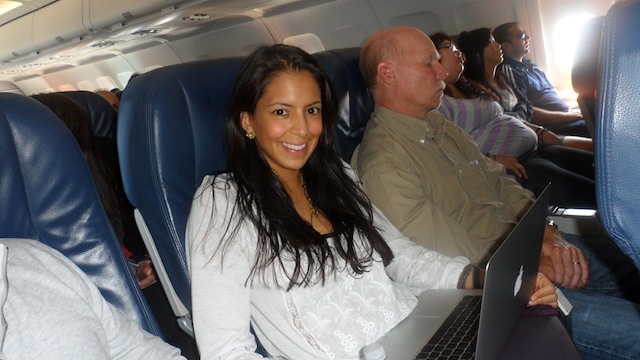 The Food Babe, Vani Hari, recently got renewed attention for a post she wrote in 2011 about the perils of air travel. Like much of what she says, it was unmitigated nonsense except for obvious stuff, like 'drink water' and move around every 30 minutes. Those are fine, though 150 people getting up in a tiny walkway every 30 minutes because they drank all that water is going to be nothing short of hilarious. Anyway, it got attention, like her claim that a microwave oven changes the chemical structure of water, and so she took it down, like she did her microwave oven post - but she has gotten a little smarter since. Now she blocks The Internet Archive so none of her site is available there, which means once she removes it from Google Cache it is like it never existed. Except of course it does exist, so like her microwave post, I will paste it here for easy reference and you won't have to spend 4 minutes finding it the hard way. I'll leave the links to her, of course, and to whatever supplements she is peddling. Because it's only fair she get rich at the expense of science and reason. If you want to see some specifics debunked, John Blanton at Skeptical Analysis takes one for the team and actually reads the whole thing and refutes points in detail.